The fireclay sink has a traditional style that is recognized by its elegance and simplicity. Strong and outstanding, the front apron fireclay sink is know for its versatility. 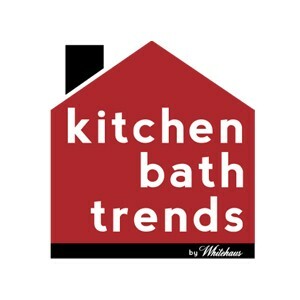 Its functionality paired with time tested style, makes it able to blend in beautifully into almost any kitchen decor. 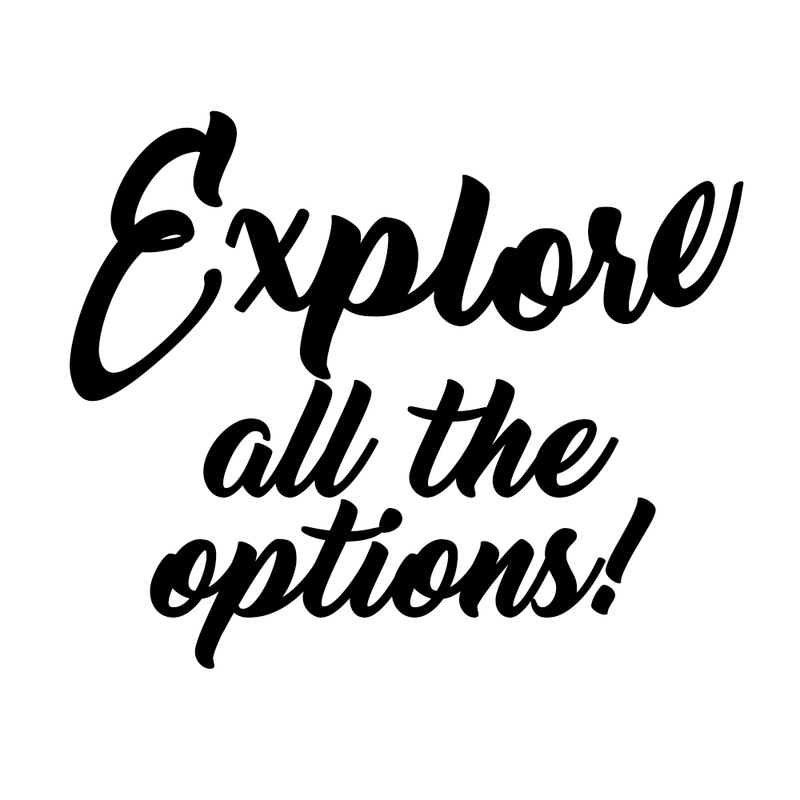 From vintage to minimalist, from rustic to industrial and every style in between, there is a model that will reflect your kitchen personality perfectly. By why stop there? You can take your kitchen design a bit further and customize it even more with the one of the impressive front apron sinks with unique designs from Whitehaus Collection®. front apron 30″ reversible fireclay sink with a with a geometric design on one side and fluted front apron on the opposite side. 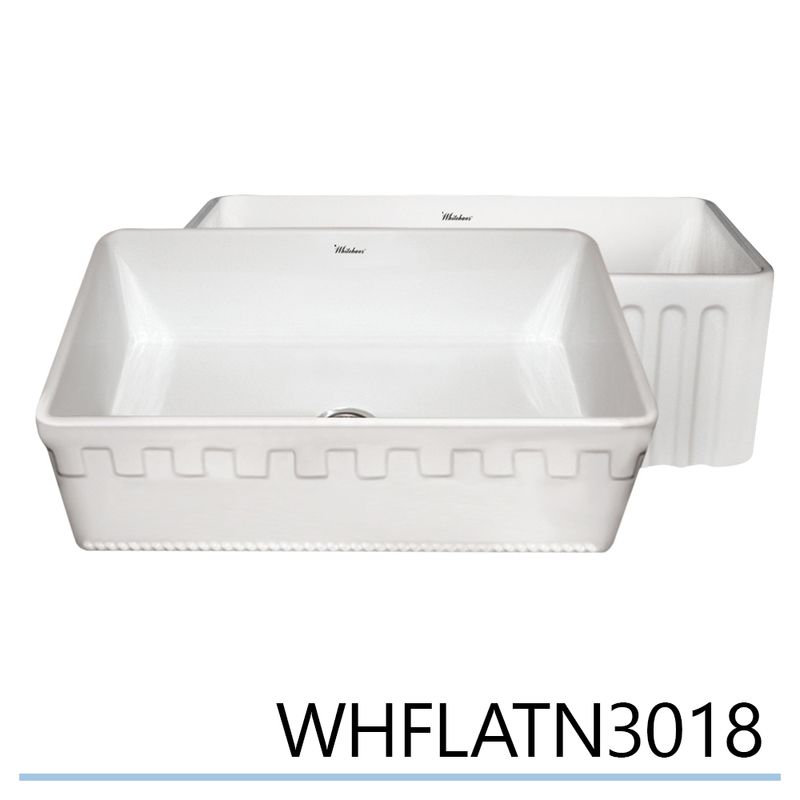 The WHFLCON3018 is a 30″ reversible fireclay sink with Concave front apron on one side and fluted front apron on the other. 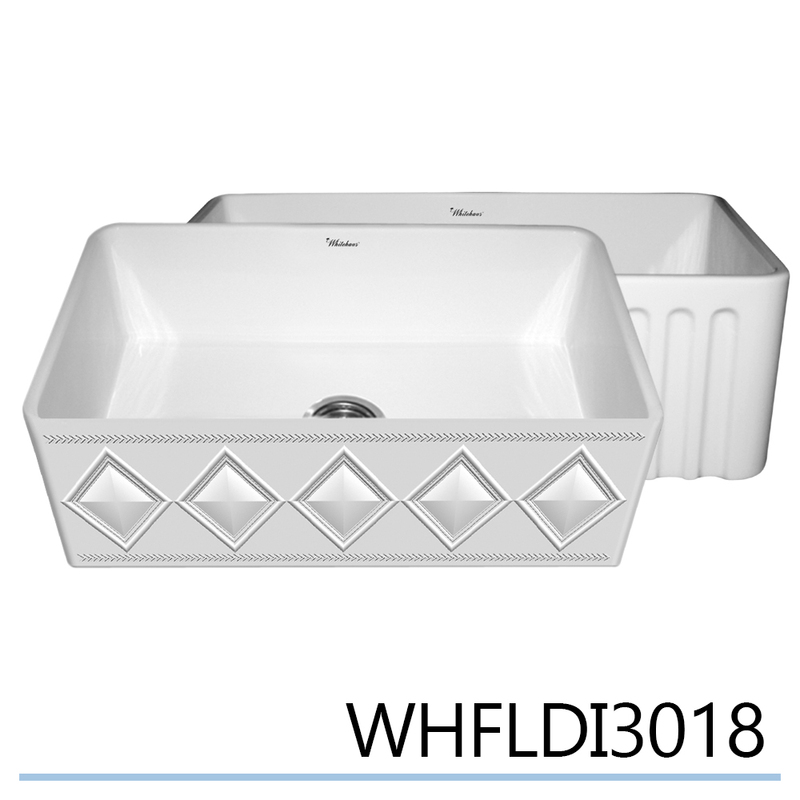 The WHFLDI3018 is a 30″ reversible fireclay sink with a diamond design front apron on one side and a fluted front apron on the opposite. 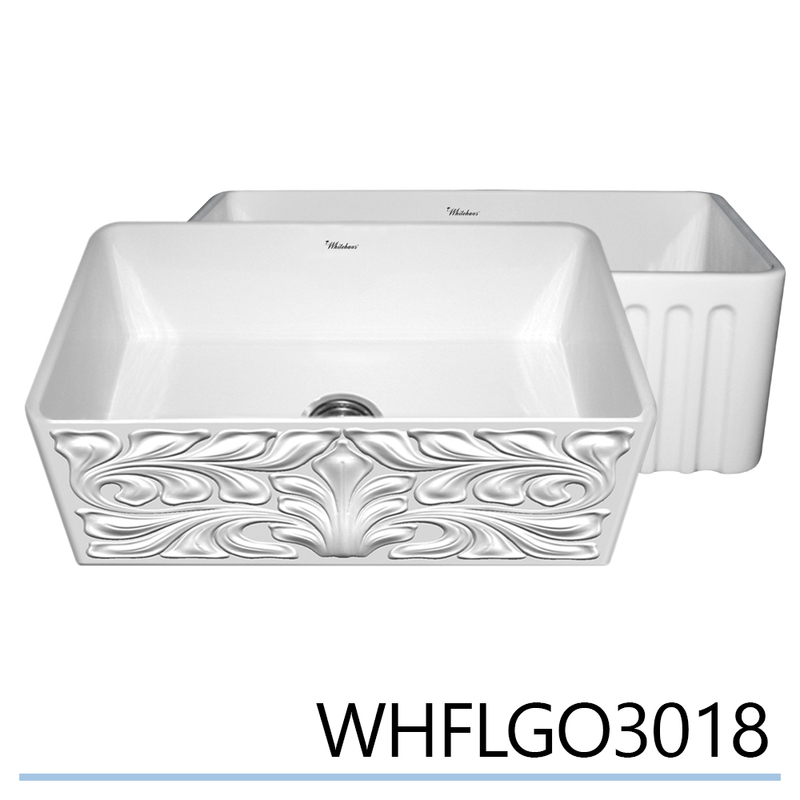 The Gothichaus 30″ front apron WHFLGO3018 reversible fireclay sink has a gothic swirl design on one side and a fluted front apron on the opposite side. 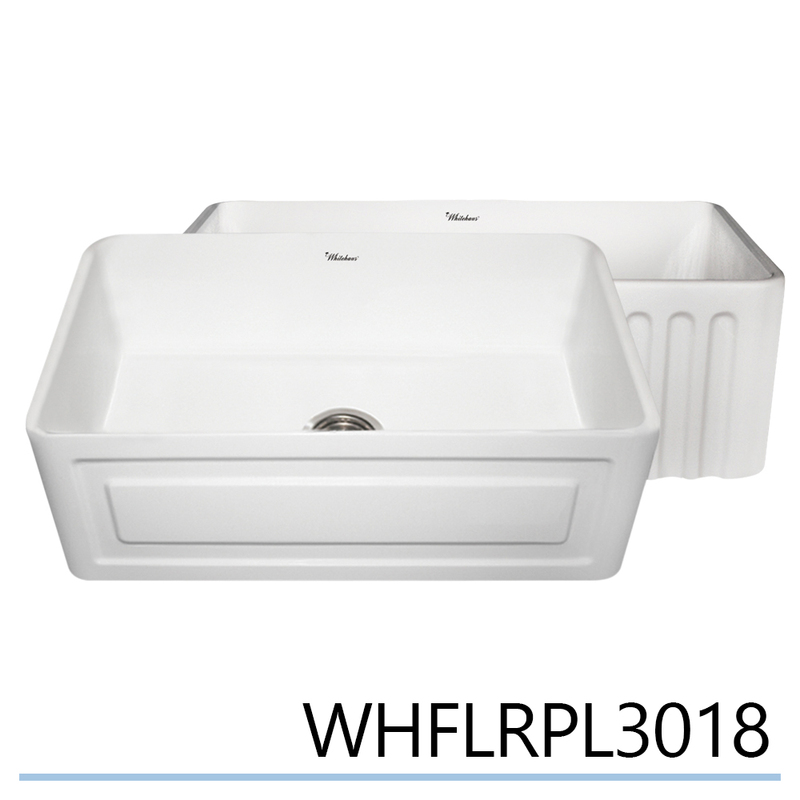 The WHFLCON3018 30″ reversible fireclay sink has a concave front apron on one side and fluted front apron on the other. All models available in four exquisite finishes: White, Biscuit, Black and Sapphire Blue. Copyright 2015 - Developed & Curated by Whitehaus Collection.